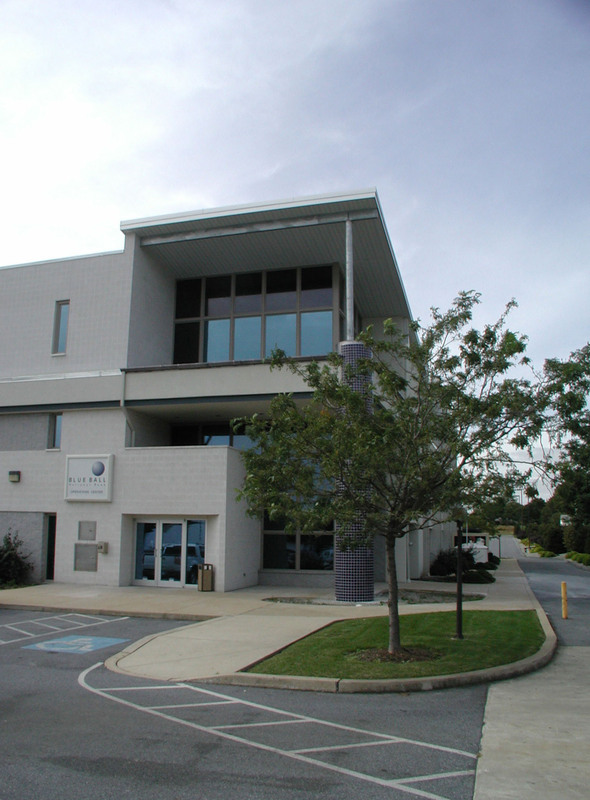 To provide a third floor for the future expansion on the existing two-story building of the operations center, we first undertook an extensive evaluation of the current structure. Through this we uncovered some inherent weaknesses, and with that knowledge we were able to proceed with the correct type of design needed for vertical expansion. We strengthened the structural bracing through a system of steel X braces in multiple column bays on both the first and second floors. This allowed for the glass third story addition we designed, where we improved upon the façade theme of the older first two stories by creating a more modern, spacious expanse of glass using horizontal as well as vertical lines. The renovated main entry area includes round glass tile columns, using small blue glass tiles which are a consistent design feature we created for all BBNB buildings. The blue glass reinforces the bank name in an artistic and architectural way. The wall of glass on the third floor above the entrance is the new main conference room. This spacious reception area on the third floor conveys the right impact for a successful financial institution. Generous space, warm tones in the walls and cherry wood, rich burls in the lighter maple wood surfaces, a comfortable seating area, and contemporary patterns in the muted carpet work in harmony to impress in a subtle way. When you enter the work hub of the new third floor you immediately get a sense of efficiency and accomplishment. Individual offices form a perimeter that connects the interior and exterior through the use of large expanses of windows that overlook the center of the floor where call center functions and staff workstations are located. 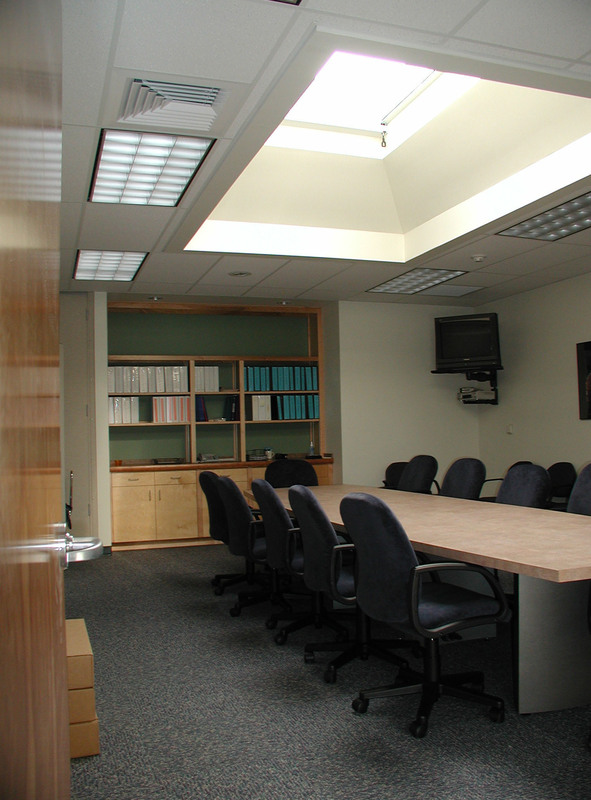 A skylight brightens this interior staff training and meeting room. A power-controlled shade can be closed when light needs to be dimmed for using the video and computer training functions. A folding panel wall transforms one large room into two separate training rooms, adding flexibility to accommodate multiple functions and uses for groups and all-day sessions. Storage and shelving for reference and training materials are built in at one end, adding to the room’s efficiency.